This Feb. 22, 2018, file photo shows a sign in front of a Taco Bell restaurant in Novato, California. Taco Bell will start testing its first vegetarian menu later this year. Offering a vegetarian menu will help the Mexican fast-food chain cement itself as the go-to option for nonmeat eaters, who often struggle to order a meal at fast-food restaurants that only sell hamburgers or chicken tenders. Five percent of Americans identify as vegetarians, according to a July poll conducted by Gallup. Taco Bell, which is owned by Yum Brands, is already known for being vegetarian friendly. Customers have been swapping out meat for beans in their tacos and burritos for years, and the American Vegetarian Association even certified some of Taco Bell’s vegetarian alterations in 2015. The new menu will include a mix of old and new vegetarian items, said Polly Zintak, a spokeswoman for Taco Bell. 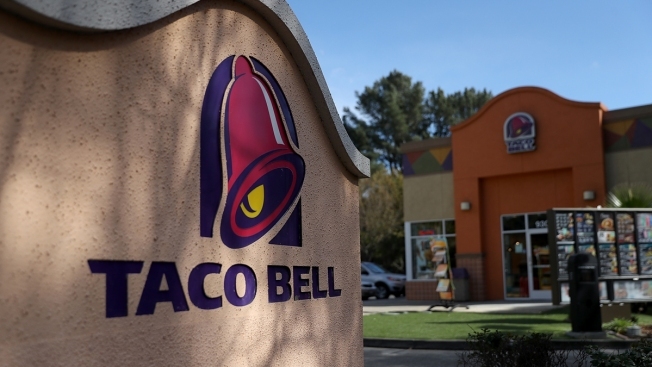 The menu could also grow Taco Bell’s relationship with its younger customers. Vegetarianism is slightly more popular among Americans younger than 50 years old, Gallup found. While Gallup said the number of vegetarians has remained relatively unchanged in recent years, sales of plant-based food have been growing significantly. A Nielsen study found that sales of plant-based meat substitutes grew by 30 percent in 2017. Americans might not be opting out of meat all of the time, but a vegetarian menu will also appeal to more health-conscious diners. The risk for Taco Bell in taking this step is limited as the chain already had ingredients like vegetables and beans on hand. It’s not the only chain looking to reach out to a new demographic. Chipotle Mexican Grill recently rolled out a number of new menu items targeted to diners who are following the keto, paleo, Whole30 and other protein-rich diet plans. Those so-called lifestyle bowls are only available through the app. Earlier this week, Carl’s Jr. launched a plant-based burger with Beyond Meat for a limited time in 1,100 of its locations.